Hello boys and girls – I hope you are all ready for Christmas! 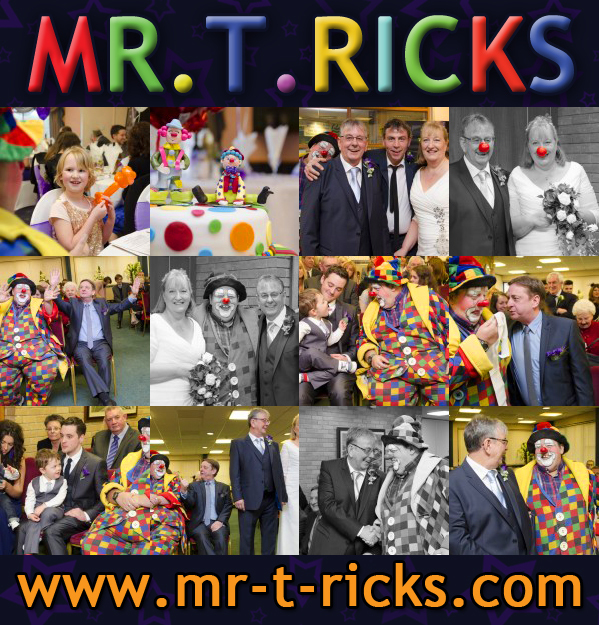 I was hoping to write this blog post days ago but Mr T Ricks has been very busy entertaining children throughout South Wales at parties and events all through December and has barely stopped! I have more to tell you, and an exciting story that happened at one of my shows, but as I am out tomorrow performing for a Christmas Eve party I will save that for another day. 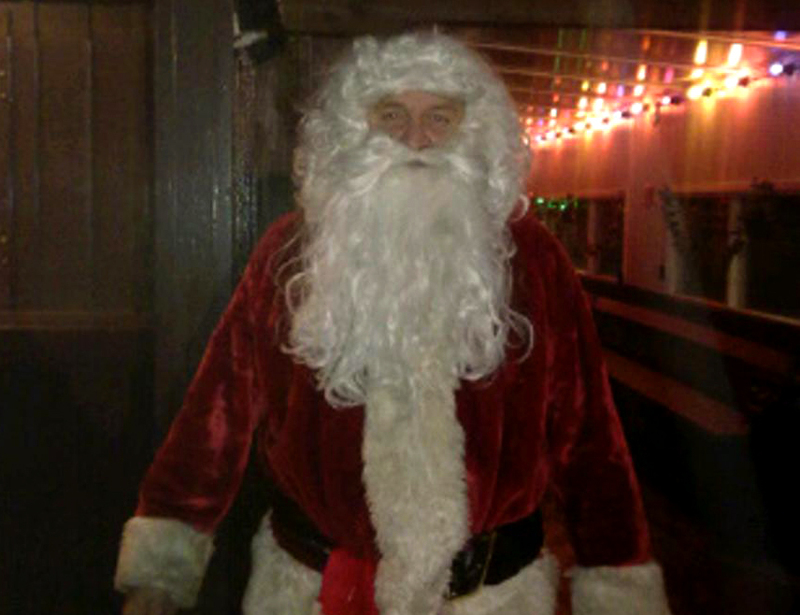 This entry was posted in News and tagged bridgend, caerphilly, cardiff, carmarthenshire, chepstow, Children's Entertainer Bridgend, childrens entertainer., Christmas, cwmbran, magic, Merthyr, Mr.T.Ricks, neath, newport, port talbot, rhondda on December 23, 2014 by Mr.T.Ricks. For the last few months social media has been awash with people dumping buckets of ice cold water over themselves to raise money and awareness for ALS and other charities. I had almost got away without a soaking when my good friend Dave nominated me just the other day. Naturally as a clown, the idea of throwing buckets of water around is a very natural thing to do, and as it was for charity how could I say no? Rather than just dump the water on my head I decided that, in true clown tradition, to create a quick slapstick routine that incorporated the challenge. With the help of friends and family, I managed to create the film below that I hope you enjoy. This entry was posted in News and tagged blaenau, charity, Children's Entertainer Aberdare, Children's Entertainer Blackwood, Children's Entertainer Brecon, Children's Entertainer Bridgend, Children's Entertainer Caerphilly, Children's Entertainer Caldicot, Children's Entertainer Cardiff, Children's Entertainer Chepstow, Children's Entertainer Merthyr Tydfil, Children's Entertainer Neath, Children's Entertainer Pontypridd, Children's Entertainer Port Talbot, Children's Entertainer Swansea, Children's Entertainer Ystrad Mynach, Childrens Entertainer South Wales, childrens entertainer., Clown, clowning, entertainment, glamorgan, gwent, ice bucket challenge, slapstick, South Wales, vale of on September 10, 2014 by Mr.T.Ricks. 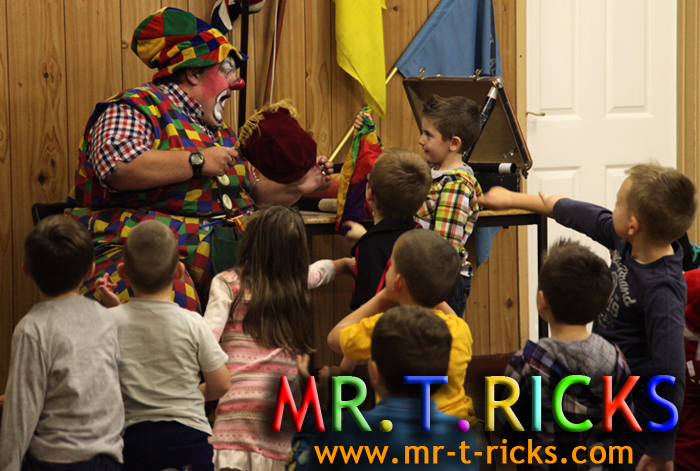 As a professional clown, magician and children’s entertainer I constantly look for ways to enhance my services and where possible, dedicate some time to this cause. So a little while back I conceived an idea that I wished to put into practice but it would need some bespoke props. Having done hours of research, I could not find the props that I needed at a high enough quality for my show, and I began to fear that my idea may just have to remain as such. Fortunately, I took in confidence some very good friends of mine and one of them mentioned that his extended family may be able to help. 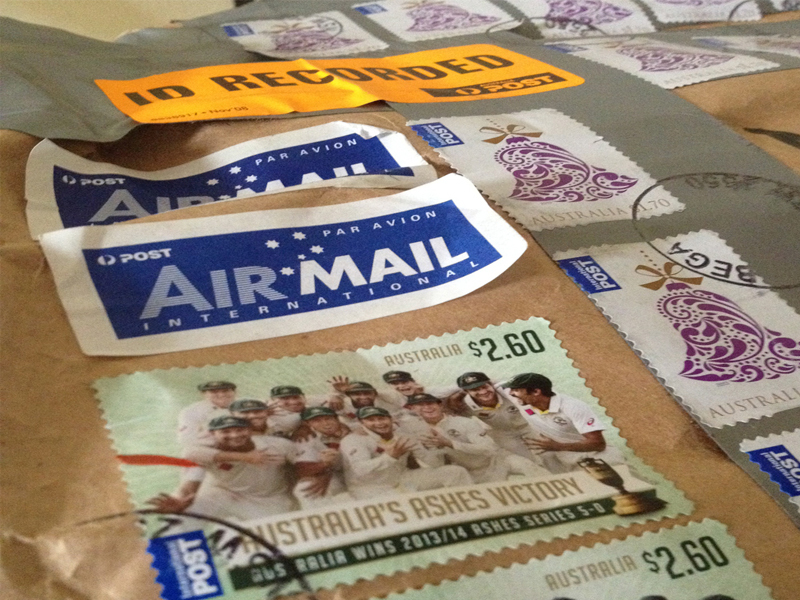 A few days passed and I received a phone call to say that what I needed was being made…. 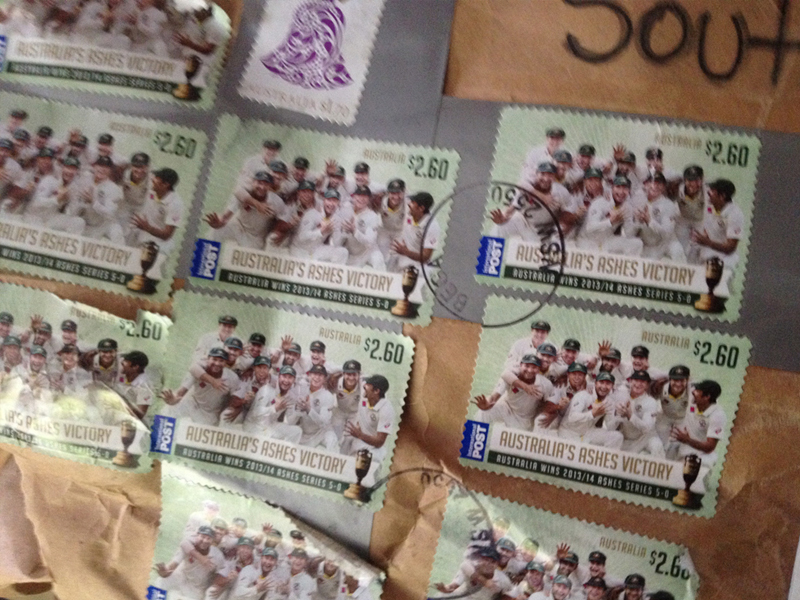 in Australia! 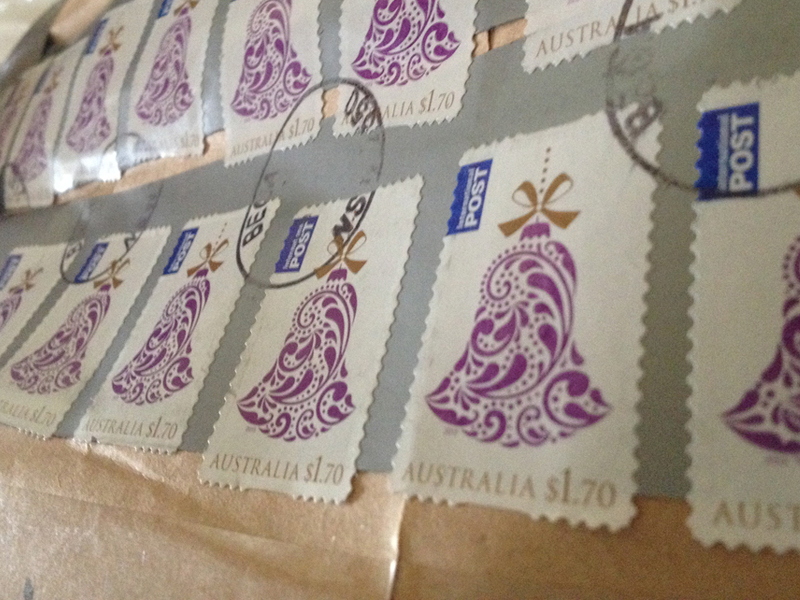 You can imagine my excitement when the items turned up the other day, and as you can see from the photos below it took quite a lot of Australian stamps just to get it to Bridgend, South Wales! What can I say: the items are fantastic and I can’t wait to put them to use. Unfortunately, there are still a few pieces of the puzzle left to complete and they will take some time, but hopefully I aim to have the latest addition up and running just in time for Christmas. 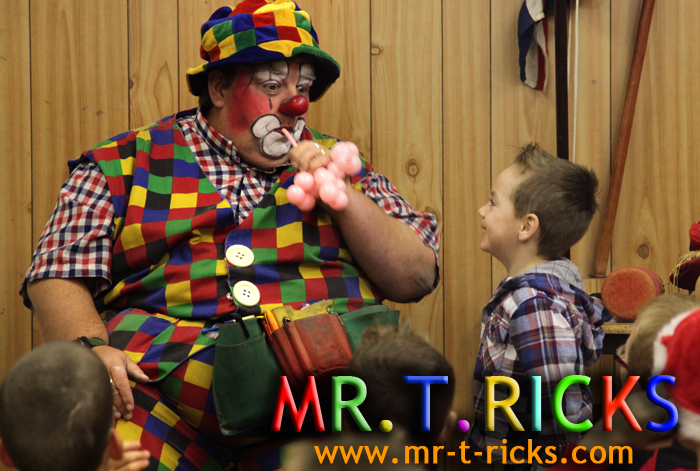 This entry was posted in News and tagged bridgend, cardiff, childrens entertainer., Clown, clowning, entertainment, magic, Magician, Mr.T.Ricks, newport, professional on May 25, 2014 by Mr.T.Ricks. Recently I had a call from a production company based at the TV studios at Culverhouse cross in Cardiff asking if I would be willing to perform on one of their new productions. 35 Diwrnod; a drama series for S4C. After meeting with the production company, I discovered that I knew some of the crew from other TV programmes that I have been involved in. The filming went well, and it took around five hours to film the brief sequence in which I appear as an outsider witnessing the beginning of an event. 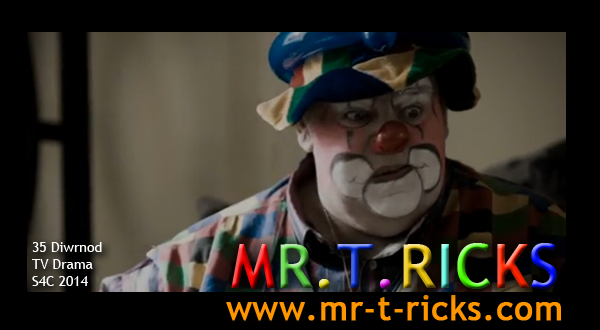 This entry was posted in Media Appearances, News and tagged acting, actor, Appearance, childrens entertainer., Clown, clowning, Film, Mr.T.Ricks, TV, TV appearance on April 29, 2014 by Mr.T.Ricks. Well there I was sitting in my car at Barry Civic Centre when a beautiful bride by the name of Susan came and sat with me in the car! Not as strange as you may think as I was attending Sue and Stuart’s wedding, and yes I was in full slap and motley! The best thing was, I was a surprise. Sue had only told her maid of honour and the registrar that I was going to be there. You can imagine the look on all of the guests faces when I walked in, seconds before the bride, juggling three balls to the music of Scottish bag pipes and made my way to stand next to the groom. I took his arm and said ‘Hi honey, I’m here!’ – his face was a picture! I quickly moved aside and made room for the real bride, and the ceremony was fantastic. So after some photos we were all off to the reception at the Brynhill Golf Club where I entertained the guests with some close up magic and balloon modelling around the tables. As there were a few children present, I had them to help with most of the magic. After around an hour and a half, with music playing in the background, I wished the happy couple all the very best and made my way home. It was a fantastic day, enjoyed by the happy couple and all the great guests, and I was pleased I could bring even more joy to their special day. This entry was posted in News and tagged balloon modelling, Barry Civic Centre, blaenau, bridgend, Brynhill Golf Club, caerphilly, cardiff, carmarthenshire, chepstow, childrens entertainer., Clown, clowning, cyon taff, glamorgan, juggling, magic, Merthyr, monmouthshire, neath, newport, port talbot, rhondda, South Wales, st mellons, swansea, torfaen, usk, vale of, wedding, wedding reception on March 29, 2014 by Mr.T.Ricks. 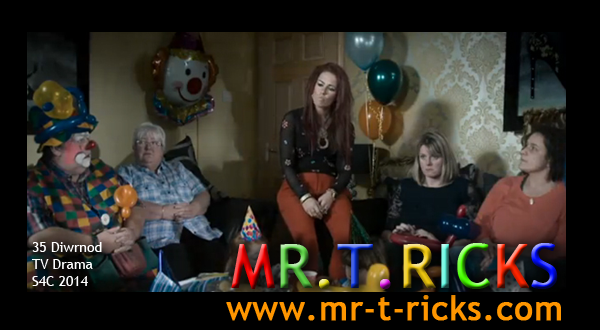 Mr. T.Ricks on BBC Radio Wales! 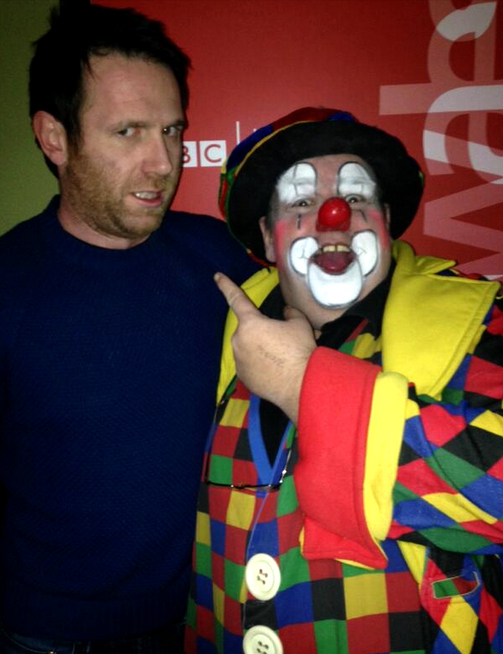 Yesterday, if you tuned into BBC Radio Wales you might have heard me on the radio! I was asked to talk on air with Steffan Garrero about an article that appeared in The Independent. According to the article, America is currently suffering a shortage of clowns as younger generations are not taking up the craft. 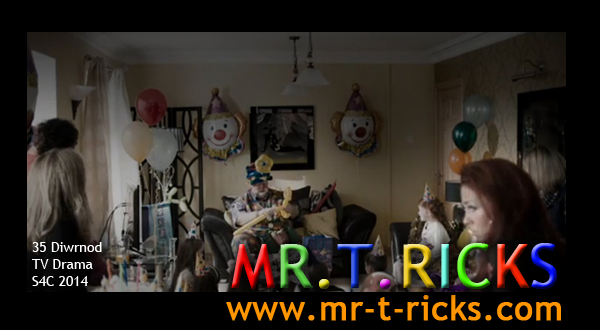 This entry was posted in Media Appearances, News and tagged BBC, childrens entertainer., Clown, clowning, Mr.T.Ricks, Radio, Radio Wales, Steffan Garrero on February 20, 2014 by Mr.T.Ricks. This entry was posted in Competitions, News and tagged balloon modelling, carnivals. 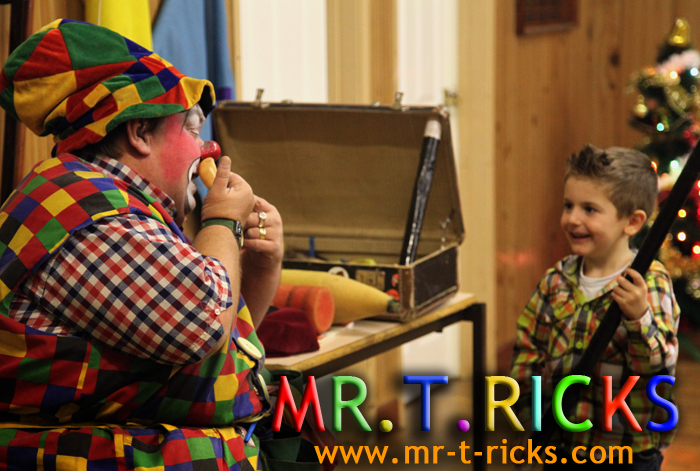 Clown, childrens entertainer., face painting, fundays, magic, Magician, parties, party, South Wales, weddings on January 3, 2014 by Mr.T.Ricks.